Beginner projects don't have to be boring or bland! 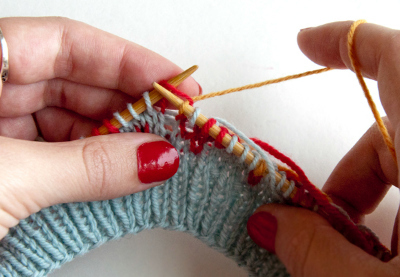 Try knitting these fun color-blocked mitts, perfect for cold winter days! Knit ties are back in style, and what could be better than a hand-knitted one? This tie is cleverly made using the double knitting technique. 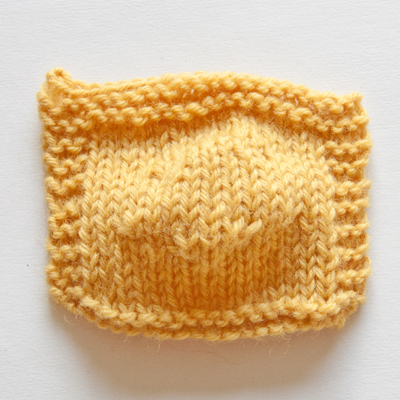 This color-blocked blanket is relaxing to knit and makes a gorgeous gift for a new baby. Give lace a try and make this fun, vintage-inspired knit belt. Snuggling up in a hand-knitted scarf is the best way to beat the cold. 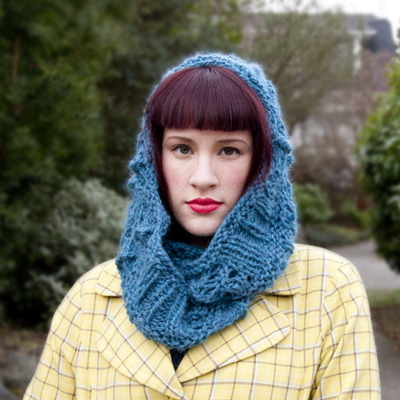 This cabled scarf is as fun to wear as it is to make.